Are you looking for a new way to fundraise? Finding the money to support a good cause or to start a new business is often difficult. 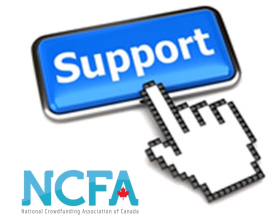 Online crowdfunding is a new fundraising innovation that might be the answer to your problem. Join us for this free workshop where you will be introduced to the basics of online crowdfunding. Experts from RaiseHope (a Canadian crowdfunding platform) will explain which initiatives work best with crowdfunding, how to find and inspire your givers, potential tax implications and more. RaiseHope.org helps people raise money for creative projects, new business ideas, worthy causes and everything in between. Apostolos Sigalas is a founder of the Canadian Crowdfunding site RaiseHope.org. Apostolos has been involved in banking and finance for over a decade and has been involved in the funding and growth of various start-ups, business expansions, and major commercial projects. He brings with him a wealth of knowledge in entrepreneurship and business financing for a variety of categories including restaurants, real estate development, retail, and e-commerce. This workshop is recommend for entrepreneurs, cultural organization fundraisers and any wanting to learn more about crowdfunding fundamentals. Space is limited; registration is required to attend this free event. 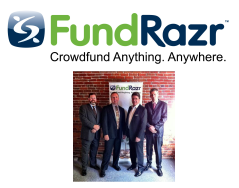 Click here to register for Crowdfunding 101 online.